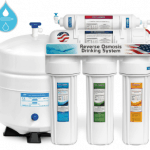 Looking for a water filter in for your new home? Don’t worry. Today we will provide you with the information on the best reverse osmosis system in town that is under $200! Are you ready for that? Let’s be honest, PRICE is the first thing most people are concern about when buying anything. In addition, water filter system required yearly maintenance and replacement to make sure that it is constantly filtering all the unwanted contaminations. $199 50GPD $40 each year across 5 years. $186 75GPD $48 on each year across 5 years. Once every 6 months replacement. $160 50GPD $50 each year across 5 years. $199 11-32GPD $210 each year across 5 years. Cost is often the deciding factor when it comes to making a purchase. However, it shouldn’t be the sole factor to consider in a compromise on quality. The quality and functionality of the product is an important factor to consider other than the price tag. Most of the technical specifications are pretty much similar. The table below highlights the main differences which will impact the selection of the reverse osmosis system. APEC ROES-50 reverse osmosis system is the cost-effective and the best reverse osmosis system under $200. Why did we say so? + This system is an excellent filtration system which receives tremendous acknowledgment from its existing customers. + This system is made in US with great technology and innovation. + This system is affordable and lowest in replacement cost. 2000 Excellent Reviews: The APEC ROES-50 is one of the best sellers and received more than 2000 excellent reviews on Amazon. 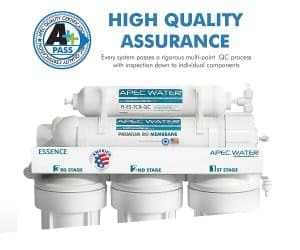 APEC has been in the water filtration business for more than 20 years and all of its reverse osmosis systems are well recognized by the public. High Efficiency and Good Quality Filters: Based on the frequency of filter replacement, it is clear that APEC is able to produce high efficiency and long lifespan filters compared to its competitor. This translate to great technology and innovation by this company. US Product: In addition, ROES-50 is design, manufacture and assemble in US, and it is still affordable compared to those that were produced overseas. Low Production Rate: The downside of ROES-50 doesn’t really impact the overall performance of the system. With 50 gallons per day on production rate, it is suitable for a medium to a large family home of up to 8 people. Bottomline: APEC ROES-50 is an excellent filtration system that makes it affordable to everyone and it is proudly made in the US with lowest running cost. Check out for a detailed review on the APEC ROES-50. 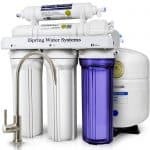 iSpring RCC7 reverse osmosis system is the second inline reverse osmosis system below $200 after APEC ROES-50. It is almost on par with the ROES-50 model. Below are the advantages and disadvantages of iSpring RCC7. + WQA Gold Seal certification. – It is not made in the US. – Frequent replacement of the filter. 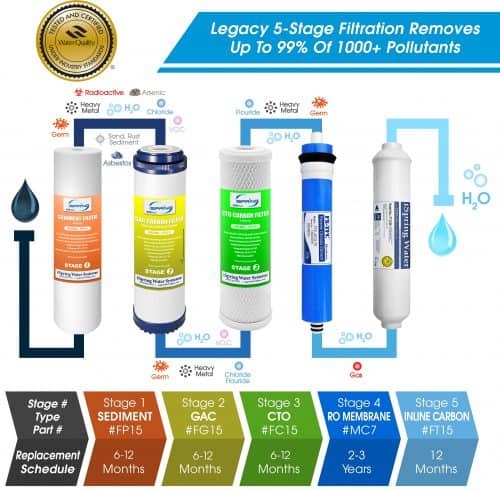 WQA Gold Seal Certification: iSpring RCC7 is the only filtration system under $200 which was awarded the WQA Gold Seal certification. In order to achieve this, iSpring will need to undergo a tough certification process on the system in WQA to be certified. High Production Rate: Apart from the certification, the iSpring RCC7 has a tremendous daily production rate of 75 GPD. It is more than the other competitors in its class. It is much suitable for a huge family of 10. Not Produce in US: Although the system was designed in the US, it is not made in the US. However, this doesn’t sacrifice the quality of the product as the iSpring RCC7 received excellent reviews from its existing owners. Low Filter Lifespan: Besides, the replacement filter is approximately 6 months for the pre-filters which is considered quite frequent. This might indicate that the filters aren’t so efficient as compared to the APEC ROES-50. Due to that reason, the maintenance cost is slightly higher. Bottomline: iSpring RCC7 is one of the closest competitors to the APEC ROES-50. Although it is not our top pick, it is certainly an excellent system which provides great filtered water for its customer. Read our thorough review of the iSpring RCC7. Express Water RO5DX reverse osmosis system is the cheapest in price among all its competitor. Due to the less popular in the water filter business, Express Water often throw out different promotions and freebies to attract customers. Although they are less well-known as compared to APEC and iSpring, their quality and functionality of the RO5DX are not that bad after all. Here are some of the benefits and drawback of this filter. + RO5DX removes up to 99% contaminations. – Not backed by any proof of certification. – The filter manufactured in Taiwan. – Frequent change of filters. Excellent Filtration: Express Water claims that RO5DX is capable of removing up to 99% contaminations from the source. However, it wasn’t backed by any certification or details of contaminations that was filtered. Free Replacement Filter: As part of the promotion, every purchase of the Express Water RO5DX will receive a one-year replacement filter for free. Subsequently, there will be more saving if purchase a 2-year replacement filter package. Made In Taiwan: The reason why it is affordable is that the filter is produced and shipped from Taiwan. Frequent Replacement: The suggested filter replacement is 6 months on the 3 pre-filters which are rather frequent. Bottomline: Express Water is making reverse osmosis system affordable to the market with low initial investment and subsequent replacement cost. Although the effectiveness is not backed by any certification, most owners are quite pleased with this system. Check out more on our reviews on Express Water RO5DX. 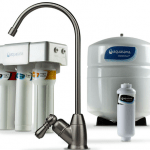 Aquasana OptimH2O reverse osmosis system is still not up to the standard to compete with its rivals. Although Aquasana is having great whole house water filter, their drinking water system still needs some improvement. – Low Daily production rate, 11-32GPD. – Extremely expensive replacement cost. Extremely Low Production Rate: It is a 4 stages filter but the daily production rate is less than twice compared to iSpring RCC7. Hence, the flow rate is the main complaints from the existing owners. Short Lifespan Filters: Aquasana promotes is Clayrum technology which is able to remove up to 97% of contamination as certified by NSF. However, the lifespan of the filters are short which means that their filters are not so efficient. Expensive Annual Maintenance Cost: Besides, the cost of replacement per year is more than the price of the system which I personally find it ridiculous. 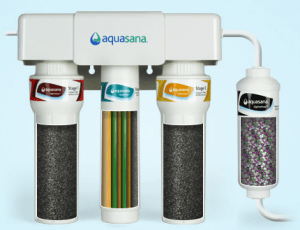 Bottomline: The Aquasana OptimH2O reverse osmosis system is not recommended as it’s technology and filter doesn’t add up to the investment that is paid for. 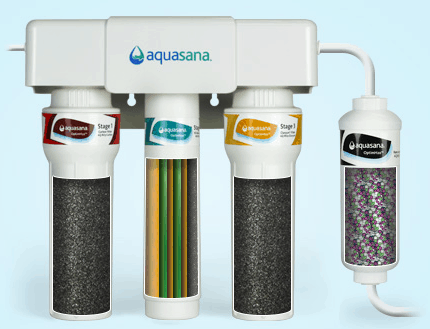 Read our detailed review of the Aquasana OptimH2O. Still having problems with choosing the best reverse osmosis system? Leave a comment below and we are happy to address your concern. Yes. It is the cheapest among all. It is a great deal when it comes with 1 year free replacement filter. Great Review! I’m an advocate for health and fitness. And as important as drinking water is, the next thing is to be able to get purified water to drink. The review is exhaustive and you give your reasons for recommending the filters you did. Really helpful information, Thanks a lot! Great. 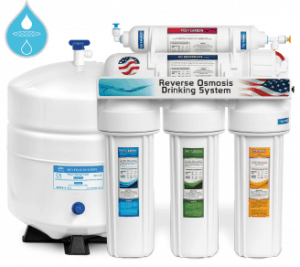 Hope this review helps you to pick the best reverse osmosis system under $200. You are welcome. It’s easy to compare it side by side with the tables. Great reviews, so much information. I have never actually considered a reverse osmosis system, I have heard of them but never realized how much they actually remove from the water. I spend a lot of money on bottled water, I am starting to think I am going to go this route instead. A lot cheaper when you add how much water drink(a gallon per day). Plus way safer for the environment. Thank you for the detailed reviews! I will let defiantly be back when I am ready to buy. Hi, Jay. 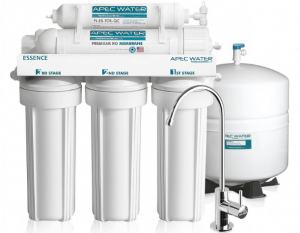 If I had to choose a reverse osmosis water filter system for my home, I’d go with your top pick – APEC ROES-50. Since it’s slightly more expensive than the rest, needs only yearly replacement and has high reviews from actual buyers on Amazon. Great review BTW! I have not considered getting a reverse osmosis water filter system before. I’ll consider this option for my new place. Thanks! Great review Jay, It’s good to see the comparisons between each product as I always assumed there wasn’t much of a difference between water filters. Thanks for the insight and will definitely look at this post again in the near future when we decide to buy one. Great! Hope that you understand how to choose a filter in the near future. How does the APEC ROES-50 compare to the much pricier Kinetico K-5 or Ecowater ERO 375? Just trying to figure out if there is an added benefit to the higher cost units. Thank you! I did not do any analysis on either Kinetico K-5 and Ecowater ERO 375. What I understand is Kinetico K-5 has the flexibility to configure the filter based on your source water. However, it comes with a whopping $2000 price tag which I personally don’t think it is worth it. Regarding Ecowater ERO 375, the price tag is lower than K-5 but is higher the top end RO water that I recommend. What I know from Ecowater ERO 375 is the production rate is about 50 – 75 GPD. It is the same as the APEC ROES-50 or iSpring RCC7 but the price is 3X. Besides, you will be paying a lot of money on maintaining that machine. If you are looking for a better RO machine, I would recommend you to go for the Home Master TMAFC. It is one of the best RO water filter that we recommend.